I’ve been learning recently that it’s ok to let go of control and let my kids enjoy food. I’ve spent the last five years being hyper-aware of everything they’ve put in their mouths, hovering, helicopter-ing, doing everything in my power to ensure nothing unhealthy (which is a very relative term) passed their lips. My son is a smart kid, so when we had to be on a very strict diet to help him recover from symptoms of ADHD and Asperger’s, I explained to him, in detail, what poor food choices could do to his body. I even went so far as to explain about leaky gut, which he totally got and kind of liked learning about (he’s a bit of a science fanatic!). If your kid isn’t quite into all the details, you can keep it simple. I also started calling certain foods brain foods. Then, when he would want something I knew would not be good for his body, I would remind him it wasn’t a brain food, and he understood why he couldn’t have it, and the struggle ended. Kids need to understand that rules about food are for their own good and the health of their bodies. How much detail you give them or how you explain it is up to you. My kids love being hands on with food choices in our house. Sometimes I ask them what they’d like me to add when I’m making my meal plan, so I can be sure to get some of their favorites on the menu. Even when we had to be on a strict, healing diet, I had my kids look at the cookbook with me and choose meals I could make. It made them feel so much less deprived and ensured they would actually eat the food I was preparing, because, after all, they had chosen it. To further involve them, I let all four of my boys help with preparing food, and each of them loves cooking with mom! Because I’ve always encouraged this, my eight-year-old can prepare lots of foods on his own, which is really nice when I’m short on time or would just like a break. This has probably been the main way I’ve helped my boys to stay satisfied, even on a strict diet. When we began to clean our diet up and eliminate unhealthy ingredients, I started making healthier versions of their favorites foods at home: cookies, cakes (I’ll never live down the whole wheat birthday cake debacle of 2010! ), pancakes, macaroni and cheese, and more. They didn’t miss the store-bought foods because I made sure to keep making healthier versions. No matter how strict our diet has gotten over the years, I have made sure that I am always able to make them treats and keep foods they love on hand. I often joke that my boys have no idea how spoiled they are, and someday, I hope they marry girls that like to cook! Boy, is it easier said than done to compromise with our kids, when we really do know what’s best for them. But being too rigid about what I’m willing to let them eat leaves my boys feeling constantly deprived, and, frankly, a little angry. It’s never my intention to make my children feel frustrated and angry about food, even when it is important that we eat healthfully. Instead, I can find places to compromise. This will look different for each family and each child’s individual health needs, but it may be that you’re willing to make a treat if they eat a healthy dinner. If you’re not into food as a reward, it may just be that you stick with an 80/20 rule: they eat your healthfully-prepared foods 80% of the time, and you allow them to eat what they want the other 20. I never thought I’d let my kids indulge in mainstream foods again. It’s like, once you know how toxic some food ingredients are, you can never go back to being cool with your kids eating them. But after spending years on restrictive, healing diets, it was time to bring some balance into our diet. Not only have our bodies done a tremendous amount of healing, but I have decided to no longer be afraid of food and give it power over me, which ultimately, steals my kids’ joy. This weekend, our family had a blast at an all-day cookout at the lake. When my oldest bounded over to me with bright blue frosting smeared on his face, my immediate instinct was to be unhappy with him. Instead, I asked what he’d been eating, and when he said he’d had a delicious cupcake, I leaned over and asked him to bring me one. And he was right; it was delicious! Each family has different standards for what constitutes healthy food, and we all have different health and diet needs. But that shouldn’t mean that we have to be at odds with our children about it. 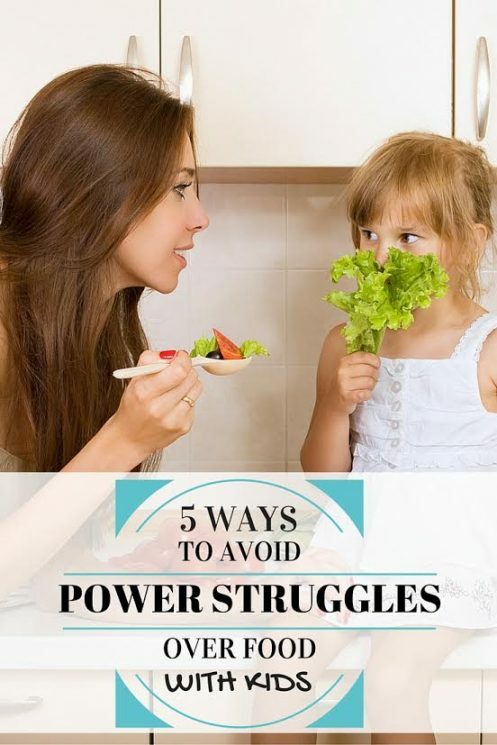 If we take the time to connect with our kids and make sure their needs are being met, we are a lot less likely to experience power struggles with them. If this post encouraged you, please share using one of our links! 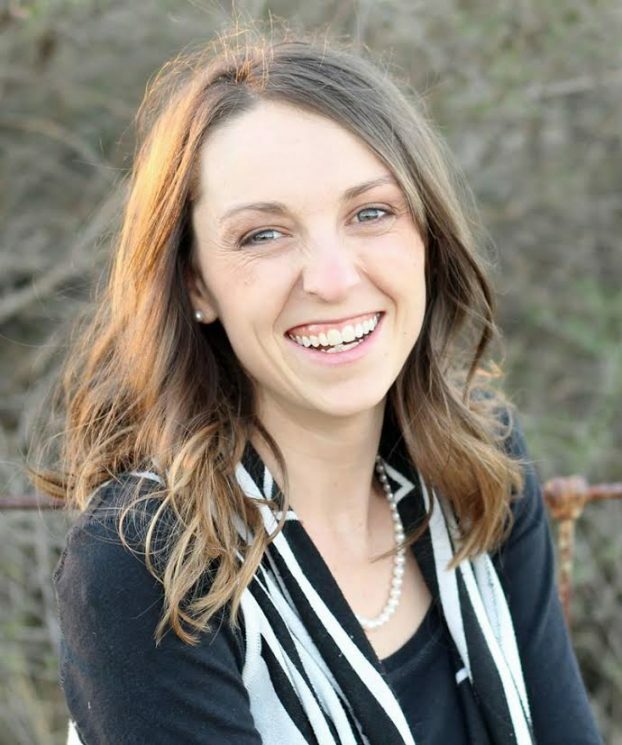 Bio: When Jaclyn became a mom more than eight years ago, health food was the last thing on her mind, but when her son began to struggle with behavioral disorders, she dove in headfirst to begin learning about how to live and eat naturally. Since switching to a paleo diet and doing the GAPS diet, her children have been healed of behavioral disorders, eczema, and digestive problems, and her own thyroid disorder has been healed. Today, she blogs about raising her four boys to be happy and healthy at The Family That Heals Together. Very interesting and thanks for some useful tips. You say “.I often joke that my boys have no idea how spoiled they are, and someday, I hope they marry girls that like to cook!” Maybe you could teach them to cook as well as you, rather than relying on someone else to do it for them? Cooking well is a life skill and I’m sure their ability to cook would make them an even greater catch!